How do we advance livestock production for the future? 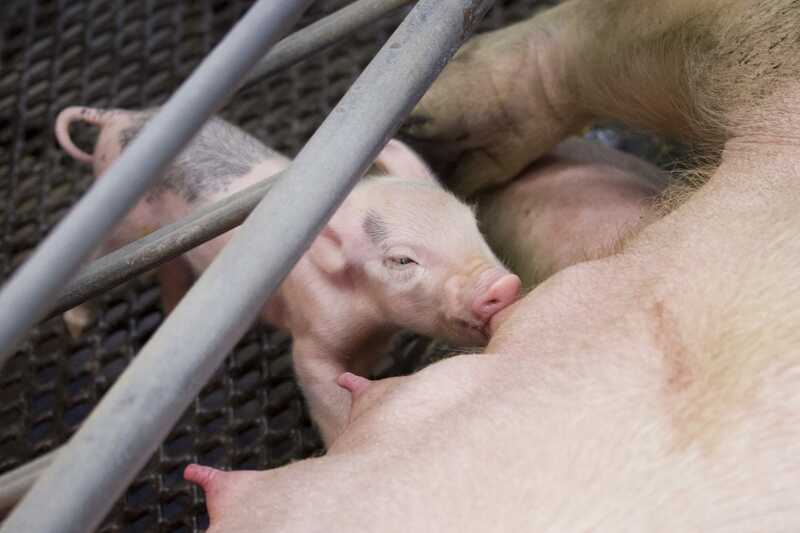 Two researchers with the University of Florida Institute of Food and Agricultural Sciences are one step closer to preventing flu in pigs and helping dairy producers get more milk for their buck, thanks to several grants from the US Department of Agriculture. John Driver and Tim Hackmann, both assistant professors in the department of animal sciences, were awarded close to $700,000 in total from the USDA’s National Institute of Food and Agriculture. “This reflects the impact and potential of animal sciences research here at UF,” said Driver, who will use his $100,000 NIFA grant to further research into influenza, which causes large economic losses in the pork industry. He will collaborate with Dr William Castleman in the UF College of Veterinary Medicine. Driver’s project focuses on a special immune cell known to have a role in battling flu. The second objective of the grant is to see if animals who lack NKT cells are more or less affected by flu. “In the case of some diseases, you may actually be better off if you don’t have NKT cells because the inflammation they cause can sometimes be harmful. Flu may be one of those diseases when NKT cells make you worse, not better,” he said. Driver’s findings could also have implications for combating infectious diseases in humans, he said. “Flu has probably wiped out more humans than any other disease. By studying NKT cells in pigs, we could learn a lot about potential NKT cell therapies for humans,” he said. Hackmann will use two NIFA grants totalling approximately $600,000 to understand how microbes play a role in cattle nutrition and impact producers’ bottom lines. Microbes in cattle’s stomachs help break down carbohydrates in their feed. Right now, scientists don’t know which microbes breaking down which carbohydrates. Identifying these relationships could ultimately help make cattle feed more effective, he said. Hackmann will begin by treating specific carbohydrates with fluorescent compounds and feeding them to microbes sampled from cattle. The microbes that metabolise this carbohydrate will glow under a microscope, he explained, telling researchers which ones have processed that carbohydrate. Hackmann’s companion project aims to increase the amount of protein available to cattle, which he’s calculated could save the dairy industry about $122 million per year.